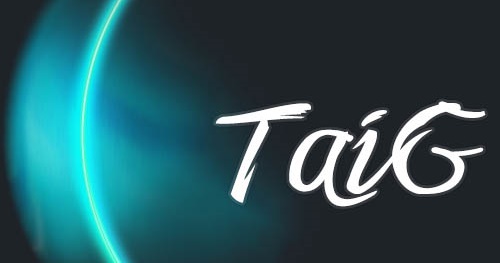 TaiG v1.1.0 for Mac has just been released and is now available to download. The newly updated tool has been pushed out just a couple of days after the TaiG iOS 8.4 jailbreak tool made its debut on the Mac. TaiG v1.1.0 for Mac is a pure bug fix release and nothing else. Hence, if you’ve jailbroken using the tool before either on Mac or Windows, provided everything went smoothly, then there’s no need to re-jailbreak at all. TaiG for Mac V1.1.0 fixes the blank screen on OS X 10.9. If you downloaded the TaiG jailbreak tool on your Mac this Sunday only to be slapped by a blank screen on OS X 10.9, then you’ll be pleased to learn that this release fixes that issue for good, and users can jailbreak right away without any sort of problem. But as we mentioned before, those users who are already jailbroken on iOS 8.4 do not need to perform the jailbreak once again with the newly updated tool. Today’s release is strictly for those who failed to complete the iOS liberation process on a Mac that’s running OS X 10.9. If you’re jailbreaking fresh, then you’ll be pleased to know that the entire process is a pure walk in the park, and those will slight knowledge of going around things can easily work through the process. It’s a simple case of connecting your iOS device with your PC or Mac, going through a checklist of basic requirements, and hitting the ‘Start’ button on the TaiG tool. That’s all there is to it. Simple isn’t it? That’s because it actually is. The only thing the user has to be careful about is the fact that the device being jailbroken should be restored to iOS 8.4 using iTunes, and not via OTA, as it can greatly affect the overall jailbreak process. You can download TaiG v1.1.0 for Mac from here. Once you’re done downloading it, be sure to follow our guide posted here on how to jailbreak iOS 8.4 using the Mac version of TaiG: Jailbreak iOS 8.4 Using TaiG On Mac – How To. Windows user? Follow our guide posted here for complete details. Alternatively, if you don’t want to give TaiG a shot, then you can try out PP instead, which essentially does the same thing – jailbreak your iPhone, iPad or iPod touch. You can follow our complete guide posted here on how to use the PP jailbreak tool to liberate iOS 8.4.